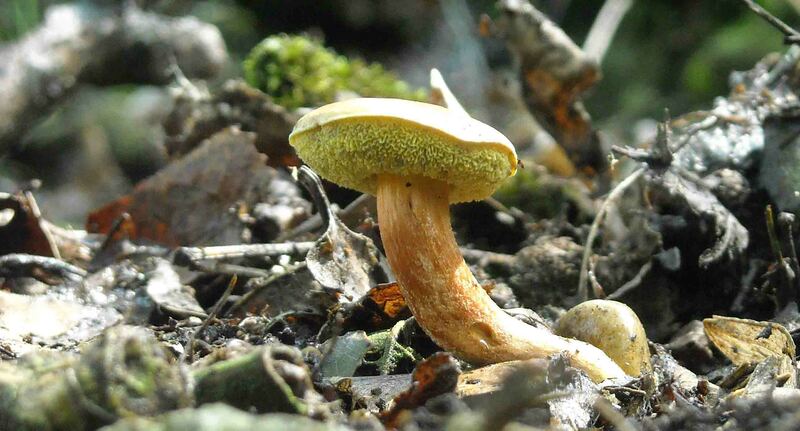 Fungi are over 300 million years old, among the most important of decomposers. 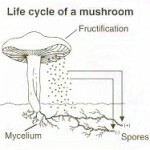 We only see them in the fruiting stage, the mushroom. 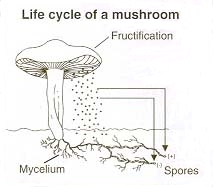 The fruiting body/mushroom spreads spores by various means, 20 billion spores over 4 to 6 days, at a rate of 100 million an hour. A Giant Puffball can pop out an astounding 20 trillion spores. Spores have a long viability, surviving freezing and desiccation, being very hardy. 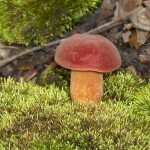 There are three categories of fungi. Parasitic fungi grow on living plants and animals at their expense. 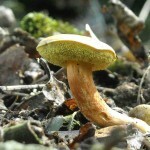 Saprophytic fungi feed on/digest dead organic matter. Mycorrhizal fungi live in symbiosis with the organism that they are growing on. 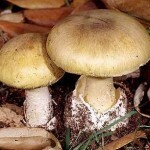 How do you tell poisonous from non-poisonous mushrooms? An old folk tale says, “No poisonous mushrooms grow on wood.” Other folklore claims that poisonous mushrooms “look, taste, or smell bad;” or that if it is called a “toadstool,” it is poisonous or inedible. These age-old tales are all completely false. 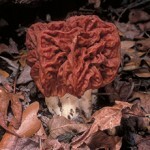 Proper mushroom identification is vital, as some that look similar have both safe and toxic counterparts. For example, Morels are highly coveted fungi that people enjoy, whereas False Morels contain toxic and carcinogenic compounds. This is why it is so important to know how to tell similar species apart. If you are interested in collecting and/or eating wild mushrooms, you should remember that wild mushrooms should always be cooked. 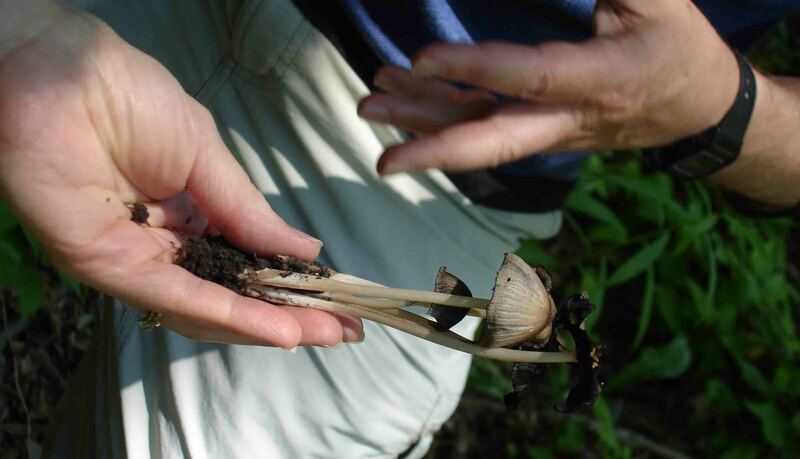 It is vital to know the basics of mushroom identification and quite valuable to spend time in the company of a mushroom expert to learn about mushrooms and learn from their experience. 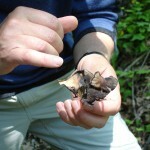 Examination of how the gills are attached to the stems is pertinent. 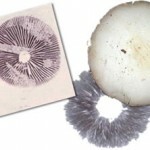 The best way to identify mushrooms is to take a spore print by placing the cap of a mushroom on a piece of white paper for a few hours. The habitat where it is found and substrate (growing surface) on which it is growing should be observed. 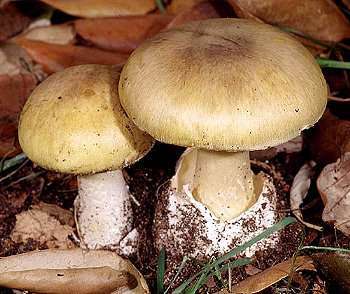 Always dig up the base of the mushroom to identify it, making sure that you have cut underground well below the base of the stem. 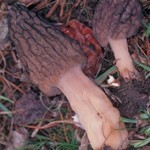 Cutting it lengthwise, as shown in the Morel and False Morel photograph above, to check whether the color changes can also be a defining characteristic between some poisonous and non- poisonous species. Also, the smell, color, cap shape, and time of year should be noted. 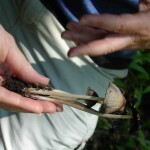 It is best to collect and identify mushrooms with an expert rather than on your own. There are names for these experts. 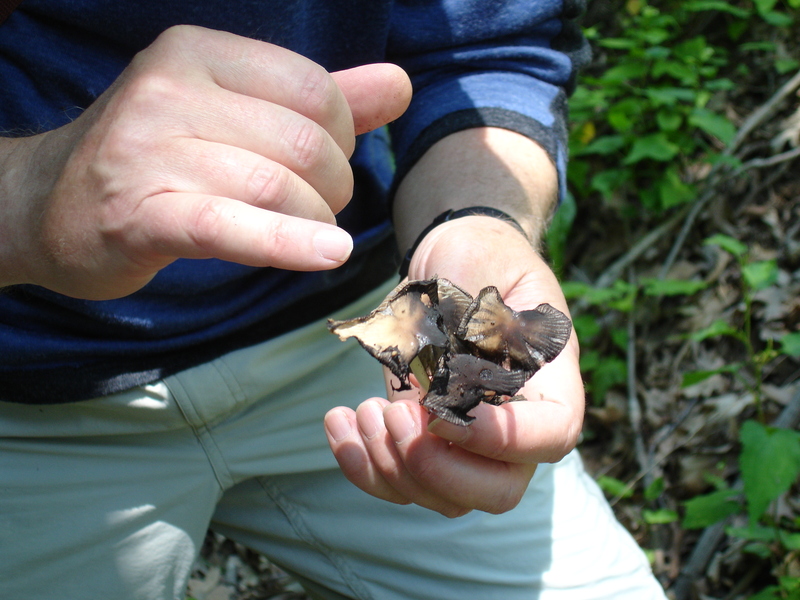 A “mushroomer” is interested in collection, identification and cooking. A mycologist is a fungi/mushroom scientist. When it comes to poisonous mushrooms, there are four types of mushroom toxins that are characterized based on the part of the body affected and how quickly the effects are manifested. The most serious are mushroom toxins that act as cellular poisons that destroy cells by rupturing cell membranes, which leads to organ failure, especially the liver, kidneys, central nervous system and red blood cells. Cellular poisoning symptoms will not appear until 6 to 48 hours have passed after consuming the mushrooms. The symptoms include: dehydration, vomiting, abdominal pain, diarrhea, jaundice, low blood pressure, excessively fast heartbeat, and lowered body temperature. Mushroom cellular poisoning can be fatal. 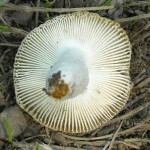 The world’s most dangerous mushroom is the Death Cap Mushroom (Amanita phalloides), also known as the “Destroying Angel.” These mushrooms are common and widespread in North America and the potent toxins they contain destroy liver and kidney cells, and sometimes result in death in as little as 5 to 24 hours, and even after 4 to 7 days of ingestion. Often, the damage to the liver is so severe that liver transplants are necessary for those unfortunate enough to partake of this mushroom. 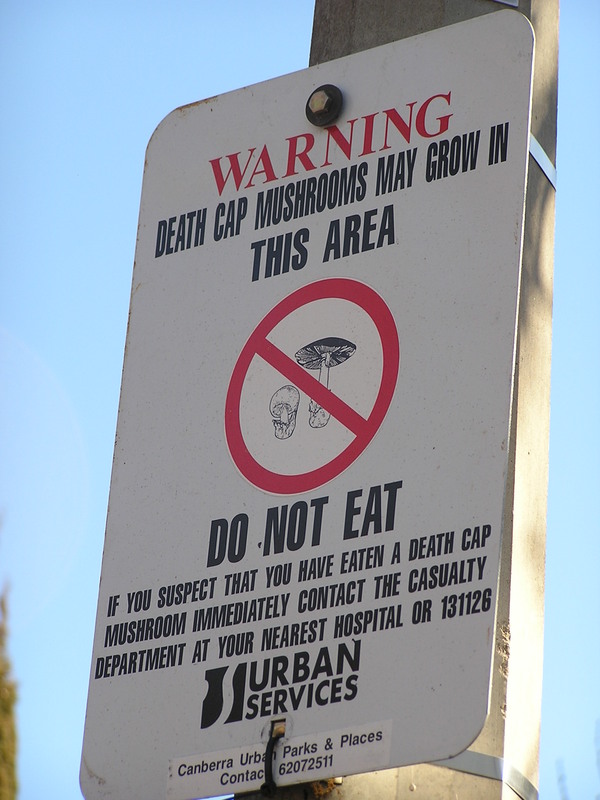 Approximately 90 percent of mushroom-related fatalities worldwide are estimated to be related to Death Cap mushrooms. These mushrooms contain Amatoxins, rings of amino acids that inhibit production of specific proteins in kidney and liver cells. Without the proteins, the cells stop functioning, leading to severe liver damage and kidney failure, coma, or death. 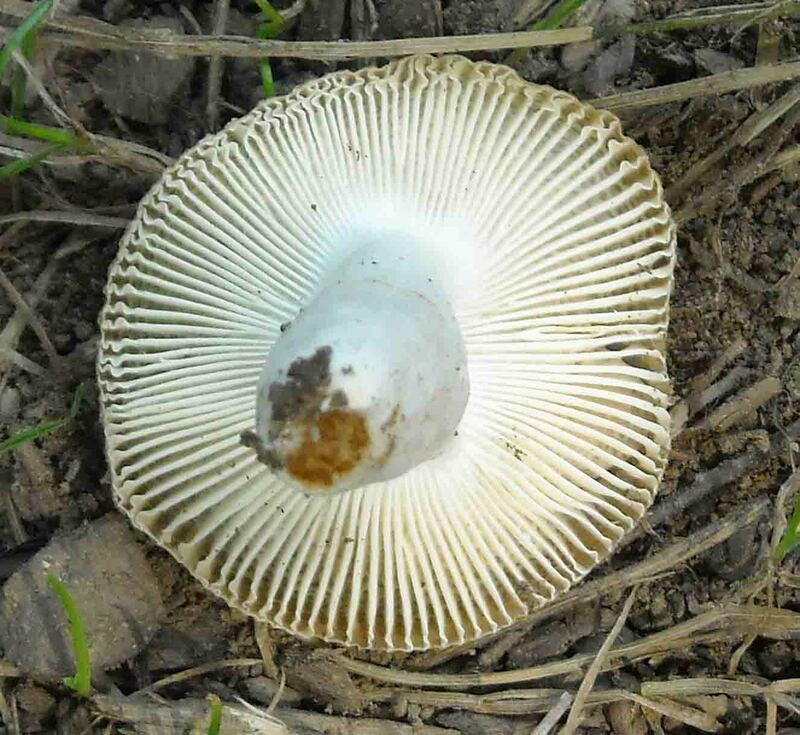 Another chemical in Death Cap Mushrooms is Muscinol, which causes hallucinations, euphoria, muscle spasms, dilated pupils, sweating, increased mucous and tears, and increased body temperature. 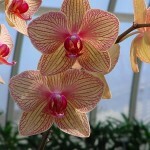 These symptoms are evident within 30 to 90 minutes after ingestion, with the most intense symptoms within 2 to 3 hours. Later symptoms are blurred vision, nausea, loss of motor skills, cramps, and a sedative effect of deep sleep. Mushroom neurotoxins are also serious poisons that can have severe health effects and can possibly be fatal. The symptoms manifest quicker, within minutes to 2 hours and include effects to the central and peripheral nervous system: abdominal pain, vomiting, diarrhea, dehydration, convulsions, hallucinations, profuse sweating, excitement, muscle spasms, depression, drops in blood pressure, slow heartbeat, increases in glandular secretions, paralysis and coma. 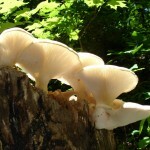 Most toxins in poisonous mushrooms cause gastrointestinal irritation. Some people are not affected at all or in various ways. The symptoms usually include abdominal cramping, nausea, vomiting and diarrhea, commonly appear within 2 hours and are rarely fatal. It is interesting to learn that when some mushrooms are eaten while drinking alcohol or if alcohol is consumed within 72 hours of eating them, a short-term acute toxic syndrome can result. 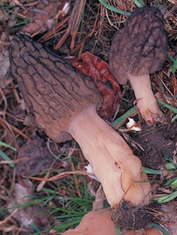 Disulfiram-like toxins in certain mushrooms such as Morels and Inky Cap (Coprinus atramentarius) mushrooms stop the metabolism of ethanol alcohol in the body, which will result in contraction or dilation of blood vessels, nausea, sweating, dizziness, headache, vomiting, and even difficulty breathing and cardiovascular disturbances. After learning all of the basic information shared above, I felt it was worth passing on to emphasize why it is important to have mushrooms identified properly by an expert before eating them. 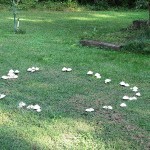 Fairy Ring Mushrooms (Marasmius oreadeas) really do exist. They grow in arcs and circles because they are expanding outward to reach new nutrients. 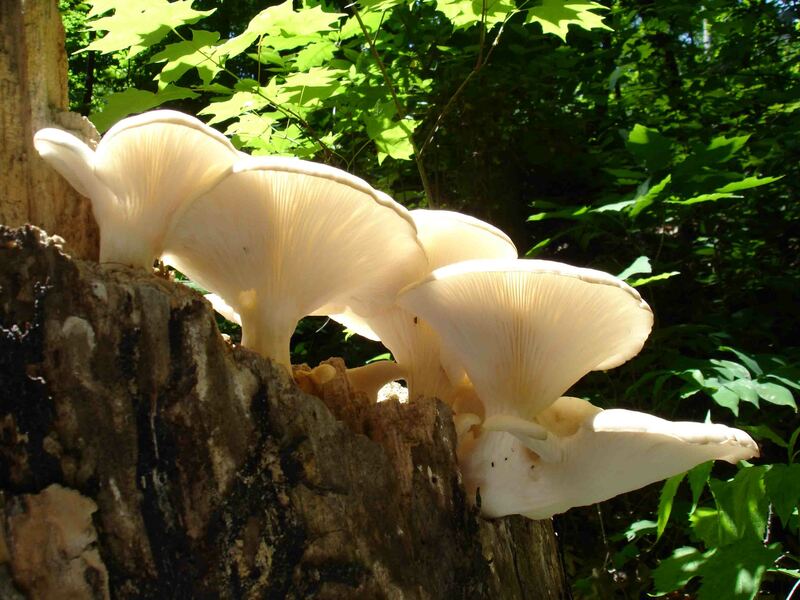 Oyster Mushrooms (Pleurotus ostreatus) grow all year round, usually on dead soft wood trees such as aspen and elm, and even on the wooden framework of homes. Interestingly enough, we found some in Schenley Park growing on the tree stump of a Tree-of-Heaven (“TOH”) (Ailanthus altissima) that had been taken down as part of the invasive plant control measures being taken by the Pittsburgh Parks Conservancy (PPC). If you even know of me by reputation, then you know that battling invasive plants is one of my true vocations, and I was overjoyed to finally find at least one TOH that I could at last find a use for. Normally, I call TOH some unkind names and characterize it unpleasantly, but in all fairness, truthfully, anyone who has tangled with this beast will attest that I am being completely honest in my assessment of this monster. “Magic Mushrooms” usually seem to refer to certain mushrooms (and no, I will not provide examples here, so please don’t even ask) containing Psilocybin and Psilocin compounds, which at low doses cause relaxation, visual distortions, and physical lightness or heaviness, said to be similar to an LSD trip. Higher doses cause light-headedness, nausea, sweating, shivering, numbing of the mouth and anxiety or hilarity. The effects are evident within 30 to 60 minutes of ingestion, peaking at 1.5 hours after or less, and lingering effects can last anywhere from 4 to 6 hours to several days. 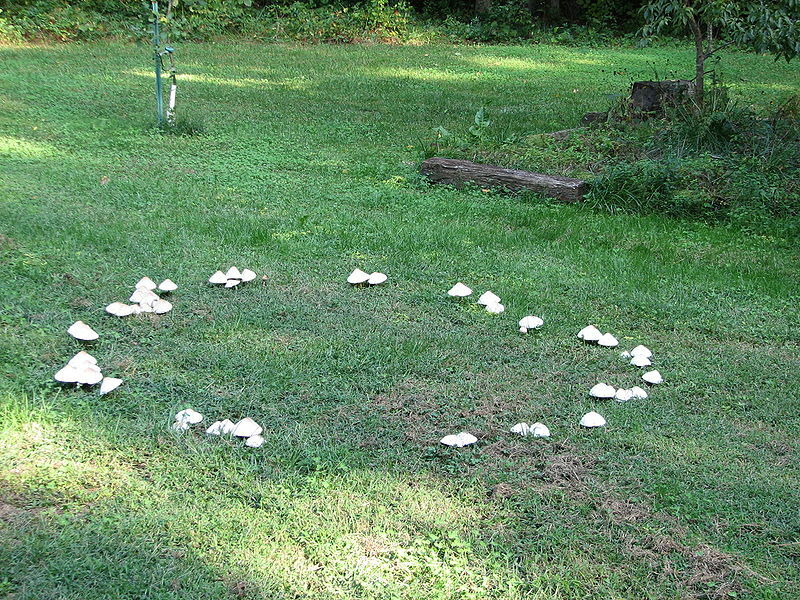 While I was searching the web to cross check some of this information, I found that apparently while some people are tripping on their “shrooms,” they create “art” and post it on the web. The creations range from the downright weird to hilarious. 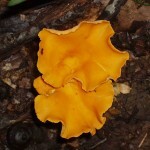 Chanterelles (from Latin, which means “good to eat”) (Cantharellus spp.) The first Chantererelles that I saw were Golden Chanterelles, which are bright egg yolk yellow, and have a rose-apricot scent. The first time that I saw them, they reminded me of coral formations because they were so wavy and bright. 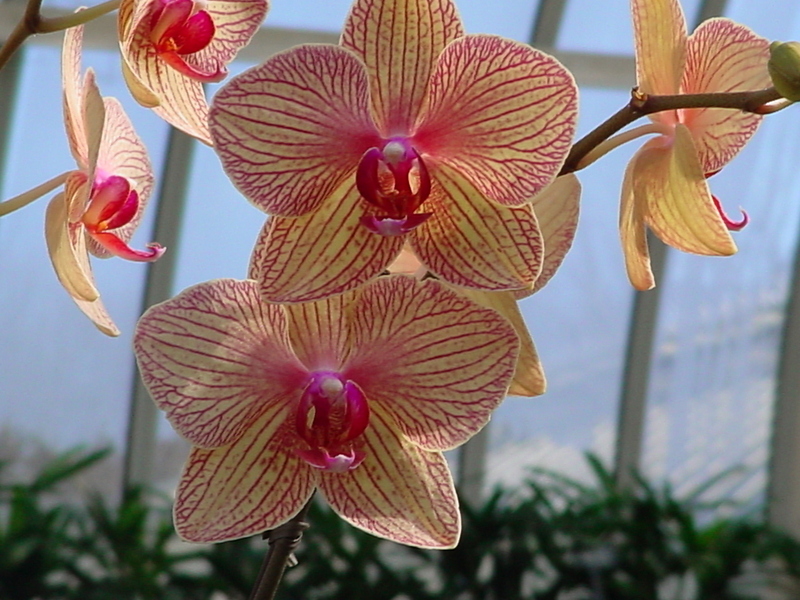 I was in the company of a botanist who urged me to collect some to take home to stir-fry for dinner. Keep in mind that this was a few years ago, I didn’t know much about fungi, and he was a botanist, not a mushroomer or mycologist, and even though he assured me that they were completely safe and delicious to eat, I did not collect nor partake of the lovely Chanterelles. Since then, I have been told that I should return to that location, accompanied by mushroomers and/or mycologists who have worked up an appetite. – Not that they have any alterior motives at all… Now that I know how wonderful and safe these are to eat, I also have learned that I should keep the location to myself. 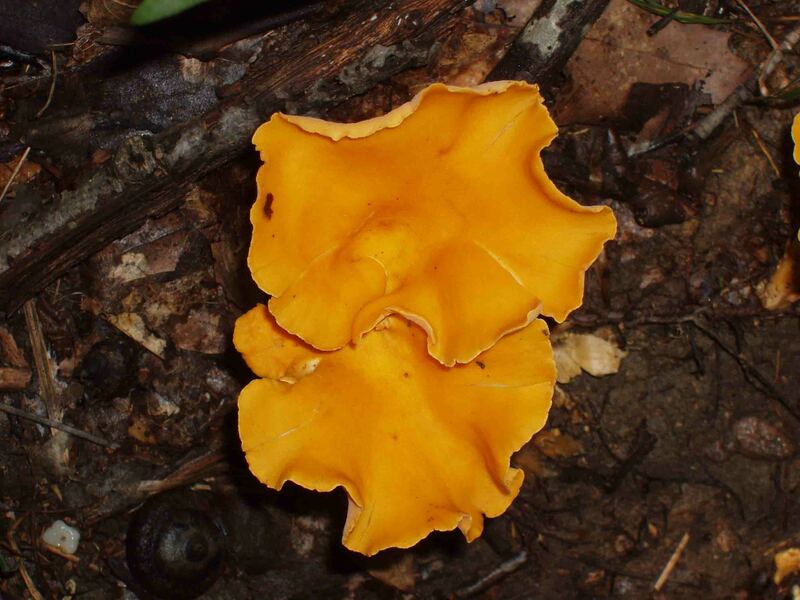 If I should decide to become a mushroomer, Chanterelles are a good selection to start with, but I could become spoiled, according to the experts. After doing all of this research on mushrooms, I am now considering becoming a mushroomer myself, only after spending a significant amount of time with the experts. But I will not give up the location of all of those Chanterelles. Sorry, guys. 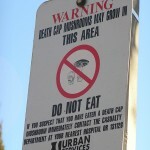 I cannot stress this enough, do not ever eat wild mushrooms unless they have been deemed safe and edible by an expert. 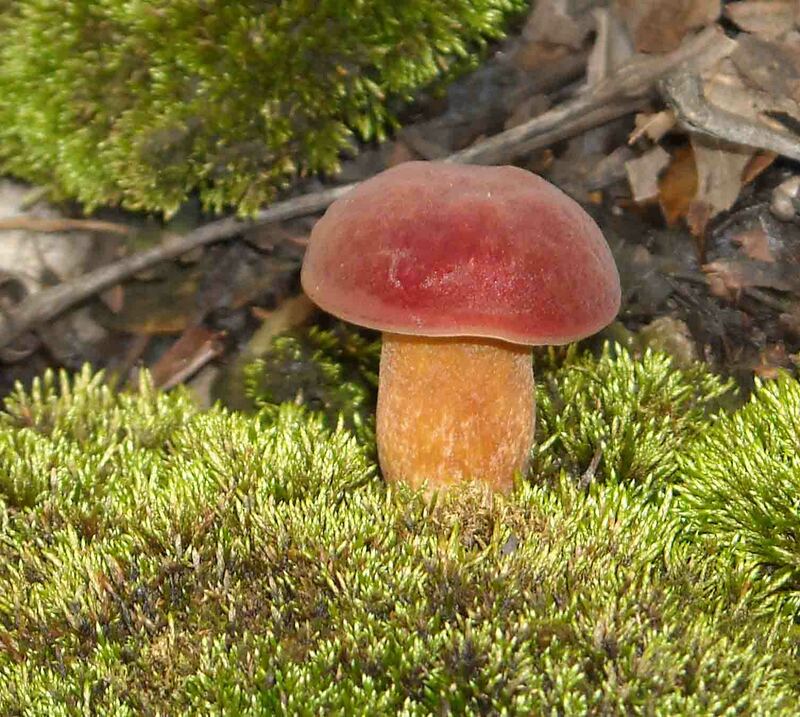 I have provided the above information for background purposes only, please do not believe that after reading this or any other article about basic mushroom identification that you can walk out into the woods, gather a basket of mushrooms, and have a nice side dish for dinner. It could be your last supper. For mushroom references and addtional information, please refer to the Resources section of this Site. Posted by Annette on Thursday, September 3, 2009, at 4:49 pm. Filed under A Garden Witches' Herbal. Tagged Mushrooms, Western PA Mushroom Club. Follow any responses to this post with its comments RSS feed. You can post a comment or trackback from your blog.